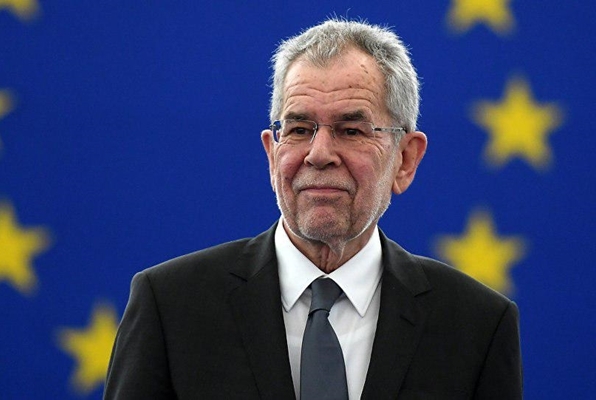 Van der Bellen has urged Europe to act independently of the US and its incumbent president in an interview with the German newspaper Welt. When asked about “the headache” that the US president gives the EU, the Austrian politician lashed out at Donald Trump for his withdrawal from the 2015 Iran nuclear deal and putting pressure on European businesses. “US President Trump has pulled out from Iran’s nuclear deal, which Washington had negotiated and co-ordinated for years, with no reason and subsequently banned European companies from doing business with Iran, threatening with grave sanctions. I think that this goes too far. The Europeans do not have to dance when Trump whistles. This also applies to other points of discord”, Van der Bellen said, a report by Sputnik said. At the same time, he said the ability to decide and act was the biggest challenge for the EU, pointing out that it often takes too long for it to agree on important issues. He was also alarmed at the implementation of a decision voted for by the majority of member states. “I was alarmed when a majority vote had been taken to agree on the distribution of asylum seekers, and some heads of states said: we do not care”, the politician stated. According to the Joint Comprehensive Plan of Action (JCPOA) agreement, Iran is required to not engage in the development of nuclear technologies for military use, with the deal’s other signatories, including the United States, promising to lift sanctions in exchange. It was signed in 2015 after years of consultation, but in May 2018, President Trump unilaterally withdrew the US from the JCPOA, prompting other parties, including Russia, China and European signatories, to scramble to try to save it. These efforts have focused on measures to bypass stringent US sanctions, as well as American threats to bring Iranian oil exports down “to zero”. Recently, German Chancellor Angela Merkel received a standing ovation for her speech at the Munich Security Conference for statements echoing Van der Bellen’s sentiment. She condemned the unilateral moves made by the US, namely, the withdrawal from the nuclear deal with Iran, as well as criticized Washington’s stance toward the Nord Stream 2 gas pipeline.